Rooftop Deck with Jacuzzi! In the heart of Tulum. 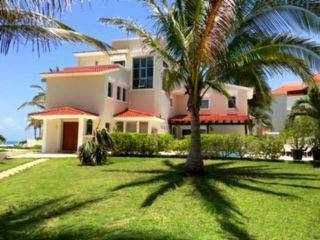 Walk to the Beach and 5th Ave.
in Playacar Phase 2, Playa del Carmen Announcing a price drop on E3 Casa Three: Home for Sale in Playa del Carmen, a 3000 sqft , 3 bath , 3 bdrm 2 storey. Now FOR SALE USD295,000 . Perfecto Condition! 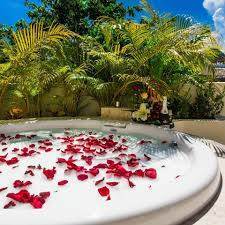 2-Bedroom condo for sale in Playa del Carmen, Mexico. 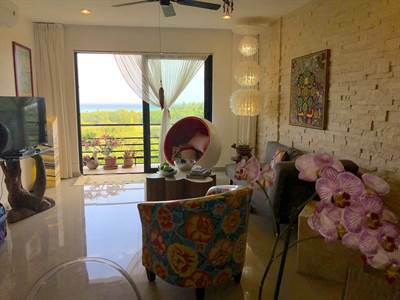 Located right on World-famous 5th Avenue, this condo for sale in Playa del Carmen features great views of the Caribbean Sea and Downtown Playa. * Convenient location, walk to the Beach! * Fully furnished and decorated. 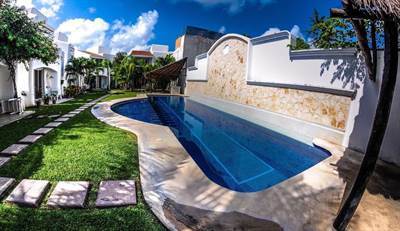 Built in 2015, this quiet condo for sale in Playa del Carmen is in excellent condition and ready to move in! Spacious open concept condo for sale! • 1200 sqft , 2 bath , 1 half bath , 2 bdrm single story – FOR SALE USD270,000 . Excellent Opportunity! 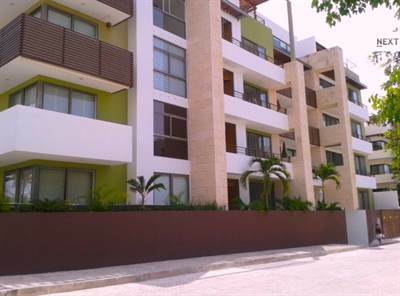 Great Location, great price and great investment opportunity condo for sale Playa del Carmen. 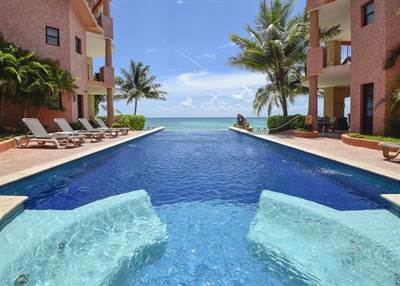 Large corner condo with 2 bedrooms, 2 .5 bathrooms, and central bistro style kitchen, this is a deal to steal for sure of all real estate Playa del Carmen. Considering it is sold furnished and has comparative condos all around it for $300,000 USD and up, this means the seller is serious about selling. So if you are a Playa real estate investor looking for a deal this is it. The rooftop pool has a view of the ocean. 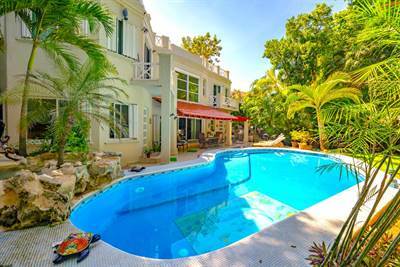 This is in a great walking part of Playa too, as it is on a wide street, just one away from the famous 5th ave and two blocks to the beach. 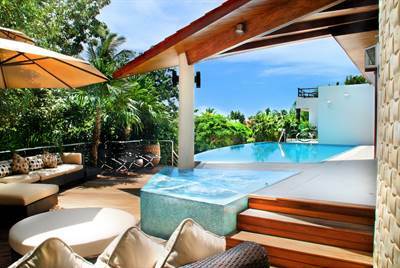 Live, rent for vacations or rent long term. Either way, this is a good deal.